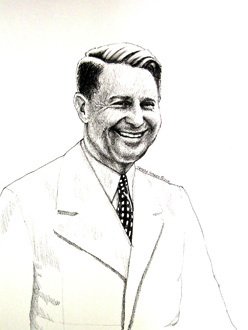 Clifford W. Henderson was arguably the most prominent producer if air shows in the United States. Considered a genius of promotion and organization, the events he organized were recognized on the World Stage and greatly contributed to public acceptance of aviation in its "Golden Age of Flight." Cliff's motivation was that of an entrepreneur driven by vision and a passion for aviation. This was combined with his belief in the utility of the airplane as it relates to commerce and transportation at a time when the airplane had not yet been embraced publicly as other than a novelty.